There is one thing that all electronics have in common. They become outdated faster than anything else in your home. What a pain that is, right? You buy a nice new TV, sound system or computer, next thing you know, it’s a thing of the past. Now you need the newest and best. So what do you do with those ‘old’ electronics that you no longer need? You call The Stand Up Guys to come and remove them that’s what! 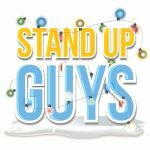 The Stand Up Guys are the number one choice for electronics removal everywhere. Why? A few reasons. The number one reason being that we are the best there is in finding a new home for old electronics. Just because they are slightly outdated or worn, doesn’t mean that someone else couldn’t get some good use out of it. Finding your old electronics a new home is what we specialize in. 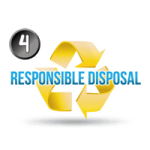 Another reason why The Stand Up Guys are the number one choice for electronics removal and disposal is our customer service. At Stand Up Guys our customers, their needs and their priorities are number one in our book. We make sure that all our customers are 100% satisfied at all times. Without our customers, there are no Stand Up Guys. 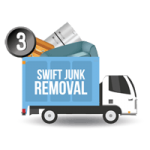 If you are finally ready to get rid of all those old electronics or other household junk, then it’s time to hire The Stand Up Guys Junk Removal Crew. The process is as simple as pie. 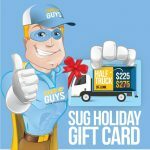 First, just pick up the phone and give us a call at 844-784-5865 (SUG-JUNK) to book your free estimate. 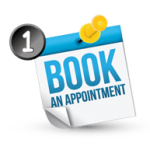 If you like, you can even book online yourself. At the time you requested. 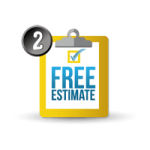 We’ll send out two Stand Up Guys Professionals to offer you a free, up-front estimate. We always come prepared and ready to work as well. This way if you enjoy the price that is presented to you, we’ll go ahead and knock it all out right then and there. See, easy as pie. 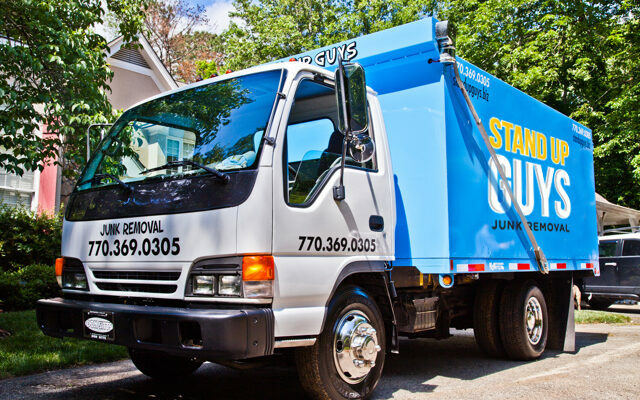 The Stand Up Guys Junk Removal Crew offers electronics removal all over the US. 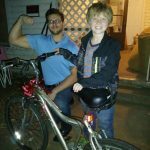 This currently includes, the following states; Florida, Georgia, North Carolina, Oregon, Tennessee, & Texas with more states being added all the time!